Let’s face it, there’s a lot of great country dance music out there, and if you like country music, you’ve got to learn two-step! If you’re a fan of Zac Brown, Billy Currington, the timeless Alan Jackson, or any of the fabulous country artist out there, then country dance lessons are for you! Two-step is one of the most fun and lively dances you can learn, and here in Springfield, Step by Step not only offers the best country dance lessons around, but we also partner up with Midnight Rodeo each week to bring you the best country dance club in the entire Midwest area! There are actually several dances that fall under the ‘country dance’ category, some of which you might not think of as ‘country dances’. 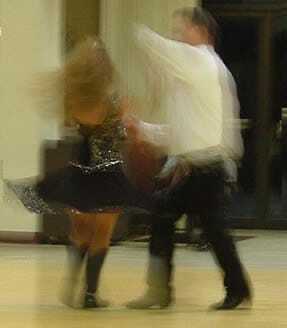 Cha-Cha and Waltz for instance are fabulous dances that can be a big part of either the ballroom or country world. So, if you venture into a country music playing setting, you’ll find a fun variety of not only two-step, but also double-two, swing, cha cha, waltz and an occasional line dance. When danced right, these dances are all fabulous to watch and fun to take part in. We’ll introduce you to each, “step by step”, so you can go kick up your heels on a Friday night out!